You see the landscape zipping by at high speed, you feel the sun and the salty spray on your face, and suddenly everything slows down. Deep inside you feel an adrenaline-fuelled calmness. It’s magic. 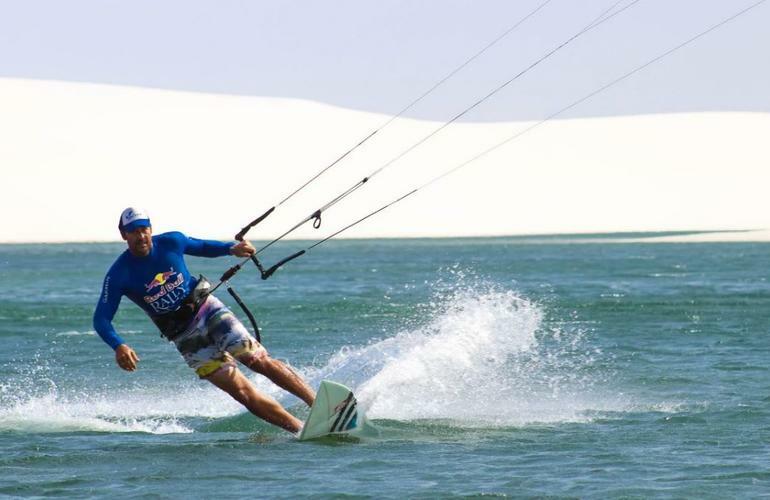 It’s what kite surfing is all about. In only 3 hours you'll have a first-hand experience, in only 3 days you'll be taught to ride a board – and you’ll be hooked! You’ll be blown away. Literally. 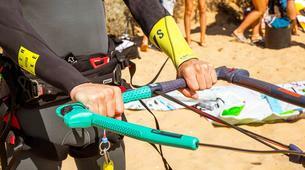 The very first step into the world of kitesurfing is the so-called body drag. You guessed it: That’s you being dragged through the water by the momentum of the kite. Once you’ve done that, chances are high that you want the real deal. A surfboard under your feet – and the skills to manoeuvre it wherever you want. 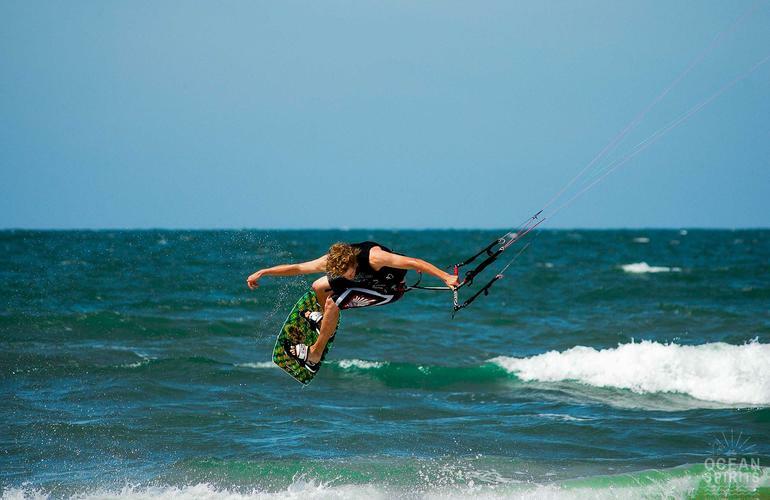 Feel the magic: The body drag gives you a first-hand impression of what it feels like to become one with the wind. 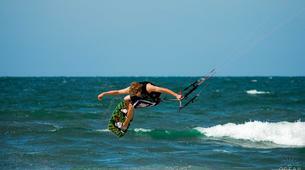 Get up & get moving: An introduction to the basic techniques of kitesurfing. 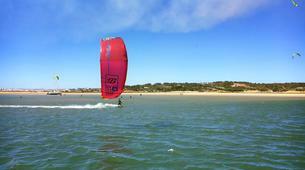 Go upwind: Learn how to ride your board safely to new horizons – even against the wind! 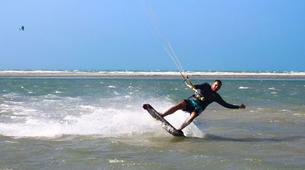 Become independent: Get in the water and have a blast – comfortably and securely, no matter where from the wind blows. 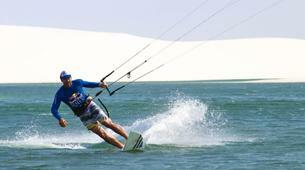 The perfect stepping stone if you want to get serious with kite surfing! 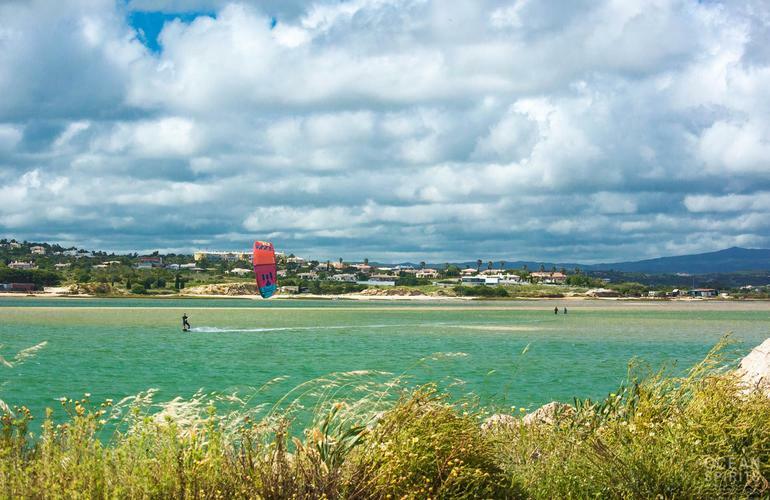 The strong Nortada wind in the summer and the big Alvor lagoon with waist deep water offer ideal conditions to learn and practice kitesurfing in the Algarve. 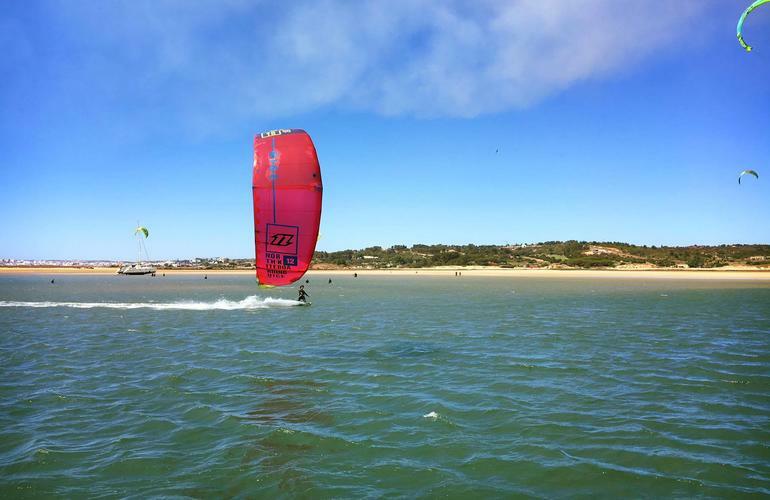 In the past the PKRA Kiteboarding World Tour was held here in Alvor and recently it was stated again by world sailor Alex Thomson – Alvor is one of the best kiteboarding spots in the world. 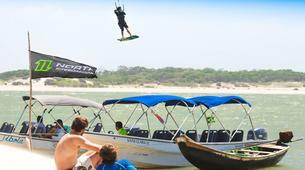 Perfect for the trial lesson the Meia Praia is huge long beach that offers great conditions to fly the powerkites on land and try out first body drags in the shallow water. 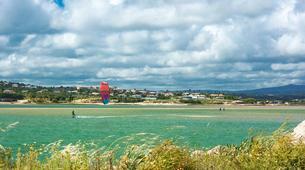 The offshore wind makes this spot only suitable for beginners or very advanced kiters. Intermediates should stay inside a safe lagoon. 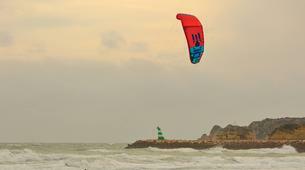 When there are southwest or southeast winds, Meia Praia gets hit by some swell and great waves. 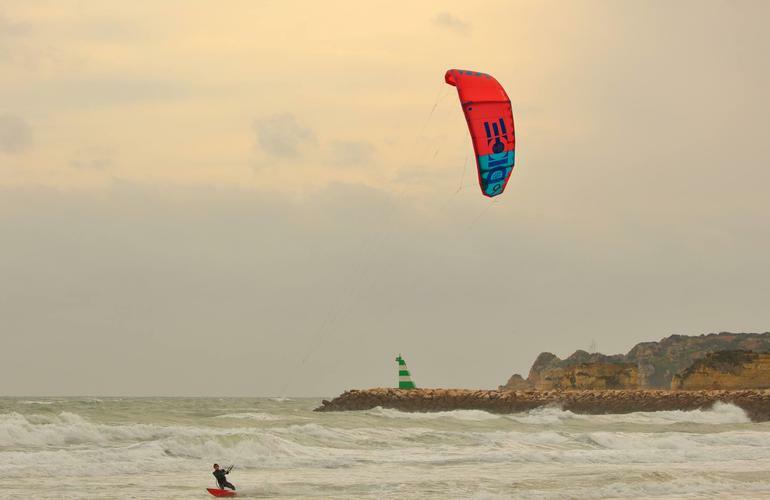 For experienced kiters there is also some bigger swells to be found on the west coast, with the amazing wave kiting spots (Bordeira, Carapateira and Milfontes). All have huge open sand beaches for kilometers and always waves waiting for you. But the experience is made better thanks to thermal conditions in this spots the wind works better in the spring and autumn than during summer. 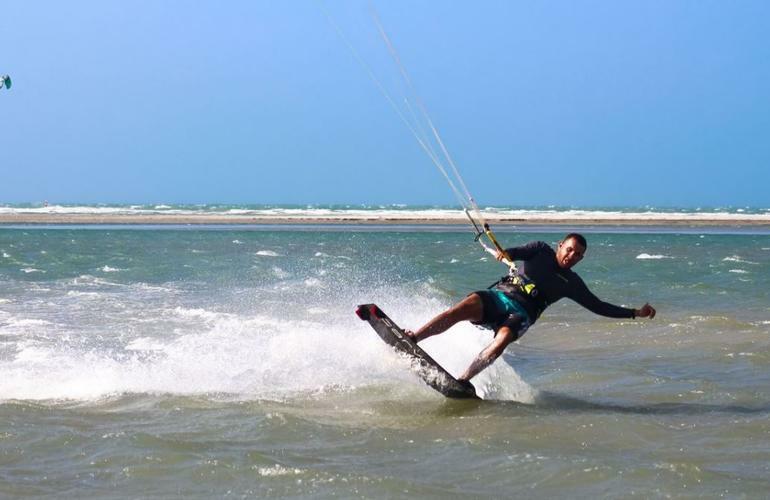 The kitesurfing lessons include theory and practical session and you can be certified with a VDWS kiteboarding license card. 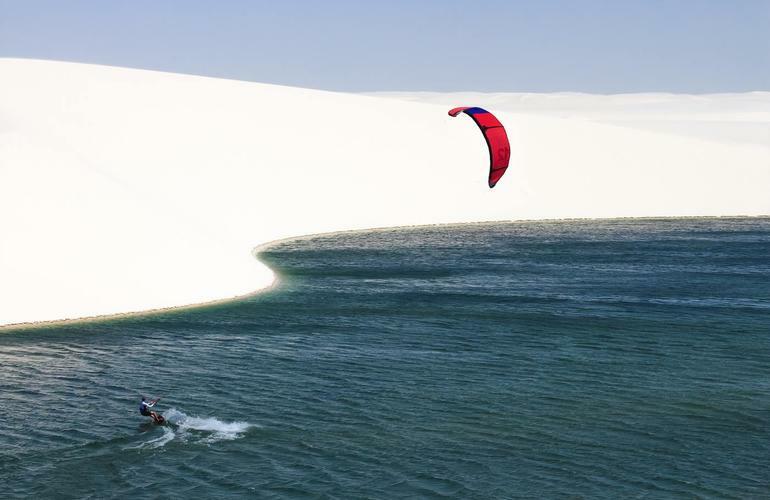 Kitesurfing is an extreme sport. As in extreme fun – but not as in extreme danger. 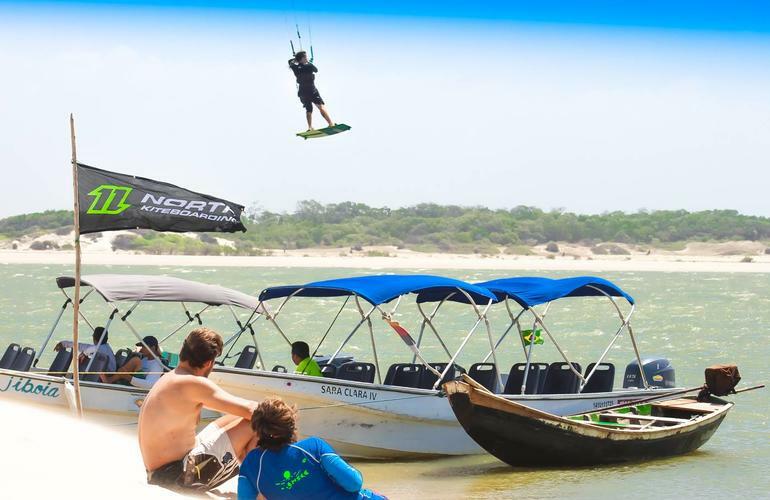 Equipment has become much safer during recent years, so you can enjoy this fantastic water sport without putting yourself in danger. Well, at least if you have proper equipment and somebody who tells you how to use it properly. 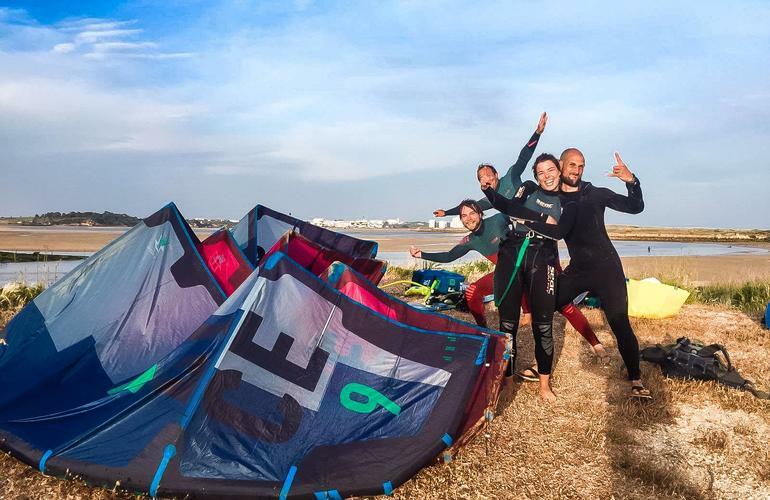 At Kiteschool Portugal they do, and that’s why they have an internationally recognised licence from VDWS International. Participants must weigh at least 45 kgs. You will have 2 lessons of 3.5 hours (total 7 hours) over the course of 2 days. 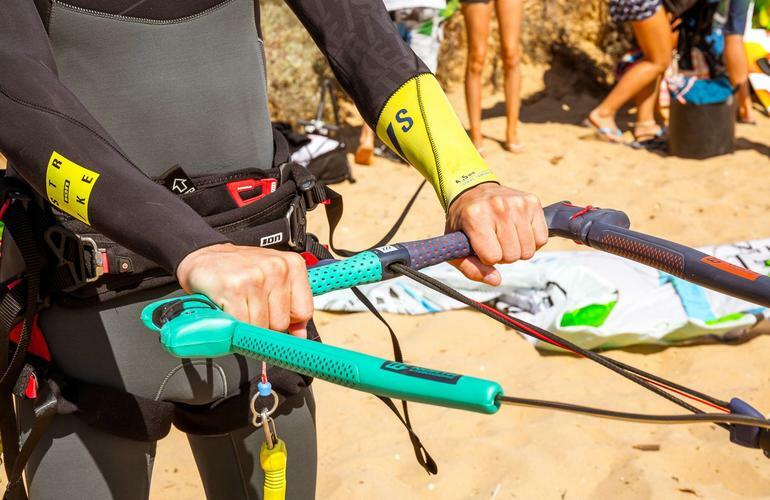 Short theory, safety systems, equipment set up, launching, landing, piloting a small trainer kite on the beach, practising with a bigger inflatable kite in the water, body dragging, water relaunch, self rescue, waterstart and first riding attempt. You will have 3 lessons (total 10 hours) over the course of 3 days. Complete theory, safety systems, equipment set up, launching, landing, piloting a small trainer kite on the beach, practising with a bigger inflatable kite in the water, body dragging, water relaunch, self rescue, waterstart and riding with control. You will have 5 lessons (total 15 hours) over the course of 5 days. 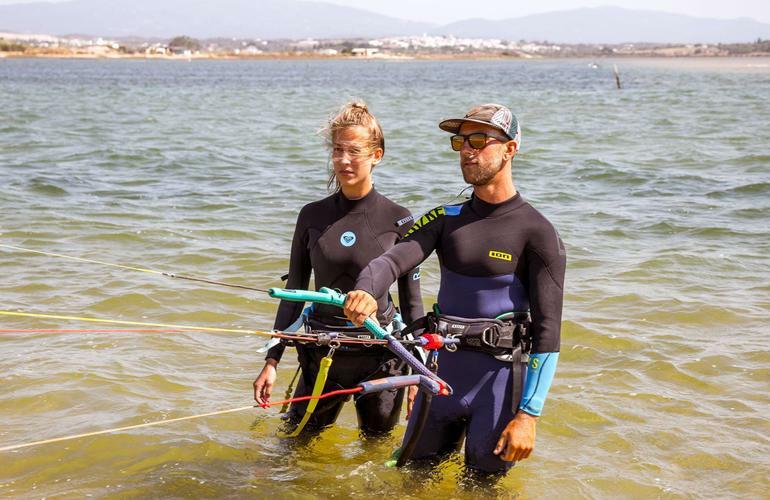 Complete theory, safety systems, equipment set up, launching, landing, piloting a small trainer kite on the beach, practising with a bigger inflatable kite in the water, body dragging, water relaunch, self rescue, waterstart, riding upwind and downwind. Bonne découverte de ce sport inconnu pour moi.